Dolly Style was made by BIC (Barbie in Chiba) Co. Ltd, a doll store previously located in Chiba, Japan which also produced their own line of fashion doll, fashions, accessories and magazine. Dolly Style Dolls featured a series of limited edition dolls with make-up and fashions created by Japanese and international doll artists. Dolly Style Wardrobe featured fashions and accessories which fit 1/6-scale fashion dolls with the slim body, such as Lynn, Misaki, momoko, Susie, Francie, and Takara Jenny and friends. Dolly Style Magazine featured doll patterns, pictures and news. 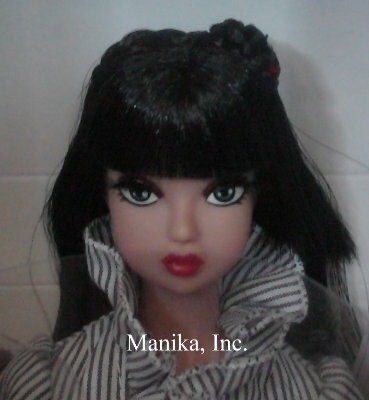 Copyright 2008 Dollystyle Dolls, BIC Co,.Ltd. All rights reserved Dynamite Body Type(C)2006 Jason Wu made by Integrity Toys inc. 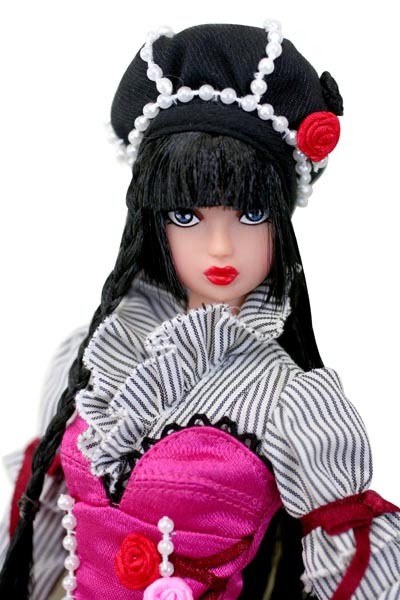 This third basic doll is a black-haired, blue-eyed Lynn dressed in a pink bustier over a striped long-sleeved blouse with ruffled collar and short black skirt with ruffled hem and red ribbon trim. She also wears a black hat and black calf-high boots. Make-up is by KitMAM (Japan) and fashion by Dollheart (Japan). Lynn's head is original DS (Dolly Style) and the body is a "Dynamite Girl" body by Integrity toys. Also comes with doll stand and certificate of authenticity. Limited edition of 100 LAST ONE! 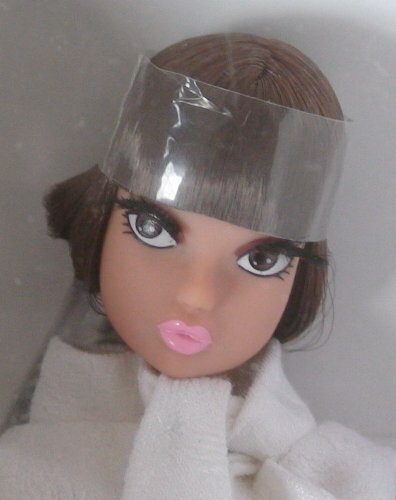 This premier basic doll is a brown-haired Lynn with powder pink lips dressed in simple white sheath dress and white textured dress coat by Japanese designer Kate Mitsubachi. Make-up is by KitMAM (Japan) and fashion by Doll Heart (Hongkong). Lynn's head is original DS (Dolly Style) and the body is a "Dynamite Girl" body by Integrity toys. Also comes with pink boots and mittens. Issue with 74 full color pages 18 additional pages of patterns and features momolita fashion for momoko, lingerie for Barbie, loungewear and active wear for Misaki, party dresses for Skipper, upcoming Azone fashions, Sakurana Circus Show, new dolls and other doll news, and more. Issue with 78 full color pages and 20 additional pages of fairy tale-inspired patterns and features the magazine's exclusive Yuri and Kumi dolls (on cover), Dolly Style dolls Lynn and Nori, spring and summer fashion check with Azone and Razrey Crow fashions, make-up of Lynn, doll artists Freddy Tan and Jeff Bouchard, new dolls and other doll news, and more.